Camp for €14,- a night at Campsite Les Ombrages de l'Adour in low season with CampingCard ACSI. 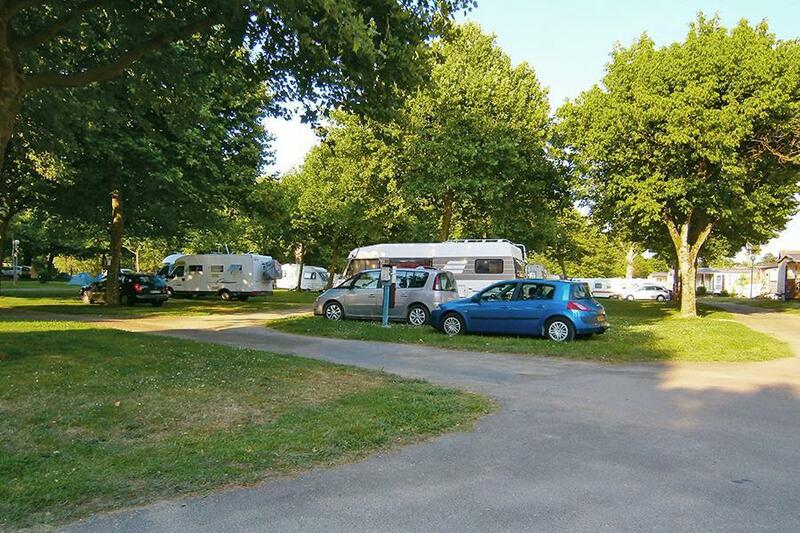 Campsite Les Ombrages de l'Adour, located in Aire-sur-l'Adour (Landes), is a campsite with 88 touring pitches. With your CampingCard ACSI you can camp on one of the pitches during the following periods: 22-03-2019 - 07-07-2019 and 26-08-2019 - 03-11-2019. At this campsite you can not only use your CampingCard ACSI for inexpensive camping, you can also use your ACSI Club ID (as an alternative ID). Level, spaciously appointed campsite on the banks of the river and close to the centre of the little town. Enjoy the peace and quiet under the trees. We stayed at this site and found it rather lacking, the site is rather bland and the facilities were very dated and in need of investment. We used it as a stop over, but wouldn’t use for more than that. This site is ok for an overnight stay the whole site like many French sites is dated & needs investment. The staff are not particularly welcoming. We arrived on 6/7/16 & were told ACSI had finished when the book stated 8/6/16. We spent 3 nights here, near this beautiful town by the river. A friendly, clean campsite with flat, grassy plots with lots and lots of shade under tall trees. Separate male/female toilets. Free Wifi but only around the bar/reception area. We wound recommend this campsite and will return. This is a useful overnight stop, but I wouldn't recommend it for a longer stay. The staff have a slightly offhand attitude, and the sanitary facilities are not of the highest class. But it's attractively sited on the river bank (unfortunately without direct access to the water -- there's a public footpath between the camp and the river), and the town centre is within easy walking distance. Despite this, noise is not a problem. Would you like to book Campsite Les Ombrages de l'Adour or request more information? You can do both using the information below. Campsite located on river, just over the bridge and next to the arena. Signs from highway exit and in the town. CampingCard ACSI will send your information request to "Campsite Les Ombrages de l'Adour".